I love birds. I love to watch them, identify them, photograph them, and read about them, BUT I really don’t love birds on my boat. While in the Chagos last year, so many terns were roosting on our life lines at one point that I thought I was going to have to get out a shovel to clean off the bird poo. One day while running up the side deck to shoo them away, I tripped and lost my glasses overboard. It cost almost $700 in South Africa to buy a new pair, so that was one expensive bird encounter. 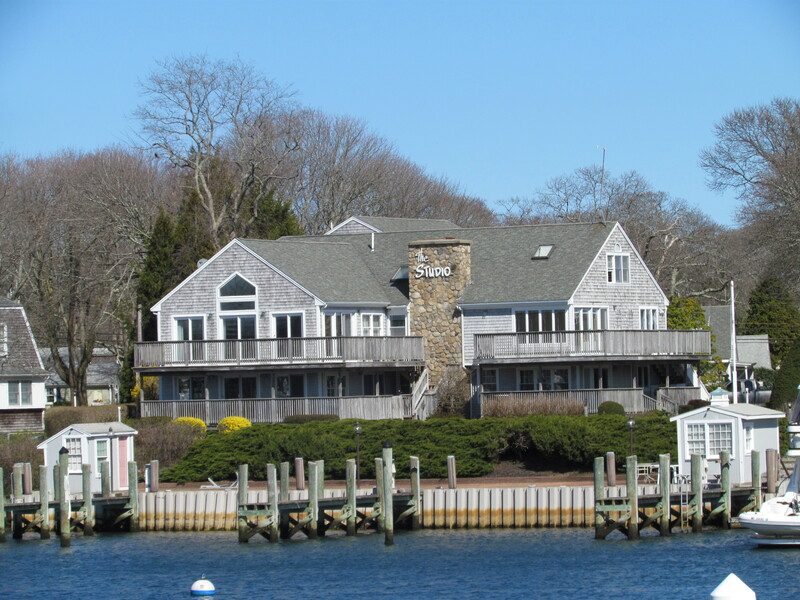 Since we moved Windbird to the dock here in Eel Pond, we have been plagued by birds roosting on the top of the mast. So we spray down the canvas and the deck every few days to clean off the poo. But this weekend, things got out of control. We cleaned and scrubbed down the deck on Saturday and thought this would be our last clean-up before moving the boat. Then on Sunday, the birds went crazy. Our bimini looks polka-dotted and the cabin top and deck are a mess. Unfortunately when we went to clean up the mess this afternoon we found that the water has been shut off for the winter. The thought of arriving in a new marina with a boat covered in black bird poo is just not my style. So after hours of considering the problem, I have come up with a solution. More about that in a minute. We have double-checked our weather sources, and things are looking great for moving the boat tomorrow. Heather checked her schedule today, and she can pick the kids up after school tomorrow, so both Mark and I are free to do the move. Sometimes when people ask us what the scariest thing was that we encountered in sailing around the world, I want to say that it was coming into a dock-not stormy weather or pirates or whales. We only came into a marina 16 times in our six years of sailing around the world-New Zealand (two times), Australia (three times), Singapore, Malaysia (four times), Thailand (two times), South Africa (two times), Little River, North Carolina. And most of these were stops to get fuels. Windbird is a wonderful boat, but bringing her into a dock and taking her back out are always tense situations. We’d rather carry jerry jugs all day long to fill up with water and fuel than go into a dock. So we have been looking for a “no wind” situation for leaving this dock and coming into a new marina. It is hard enough to deal with current, but add wind to that and my pulse rate soars. Tomorrow really does look good. We won’t be sailing, but our only goal is to move Windbird to our winter home without incident. Someone from the marina here is coming at 7 am to help us get out of the tight spot we are in and then we will go back out into the pond and pick up a mooring to wait for the bridge to open later in the morning. Woods Hole is on winter hours these days, so the bridge doesn’t open quite as early as it did in the summer. We’ll leave here at the 10 am opening, go through the Hole at almost slack tide and then head north in Buzzard’s Bay. We are going to go as slowly as possible as low tide at our destination is at 11:30 am. We plan to arrive there around two and go in on a rising tide. That’s the plan. Let’s just hope all goes smoothly. Mark installed the second Freedom SW2000 inverter/charger today. So far, so good. It is running beautifully and charging those batteries. But then the first one ran for two days before it quit. We’re hoping this one is with us for the long-term. While at the Newport Boat Show, we signed up for a free subscription to Cruising World. We got the first one a week or so ago, and the November issue arrived today. 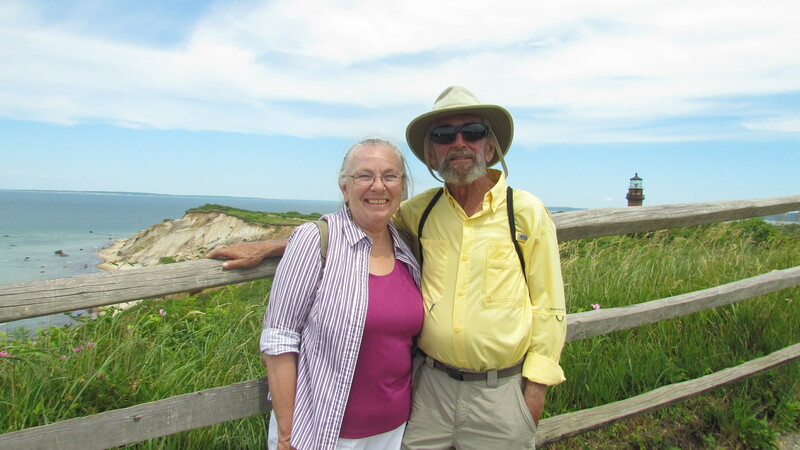 This one got my immediate attention with the cover headline “Where We Sail”–an article by the Jimmy Cornell, the writer of a couple of the most important books that world cruisers use as their bibles. The article has a two-page spread showing a map of the world and the number of cruisers that have checked into various locations over the past 25 years. We found the statistics listed for 2010 quite interesting. Cornell is saying that 105 boats cleared in at Chagos in 2010. We were there and we know that in June of 2010 the BIOT folks were telling us that fewer boats had applied to stay than in any previous years they could think of. From January to June, we know that only 20 to 30 boats were there and folks that stayed until August only reported another five to ten boats coming in after us. Then we looked at the South Africa figures. 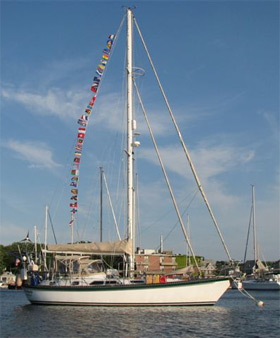 Cornell says that about 200 boats sailed the global route via Cape Town in 2010. We find that really hard to believe. Again, we were there and we know that the twenty some boats in the ARC World Rally just about equaled the number of the rest of us. The only way I can figure that he came up with that number is that there were over a hundred boats in the Cape Town to Rio race. I certainly wouldn’t count them as “boats sailing the global route” since most were South African boats just going and coming back home. Tomorrow I’ll read the whole article and see if maybe there are some explanations. But saying that there are 10,000 bluewater boats taking a global voyage seems a stretch to me. Do boats leaving the US and going to the Caribbean and back count as global voyagers? I don’t think so. They are certainly bluewater sailors, just not of the global variety.